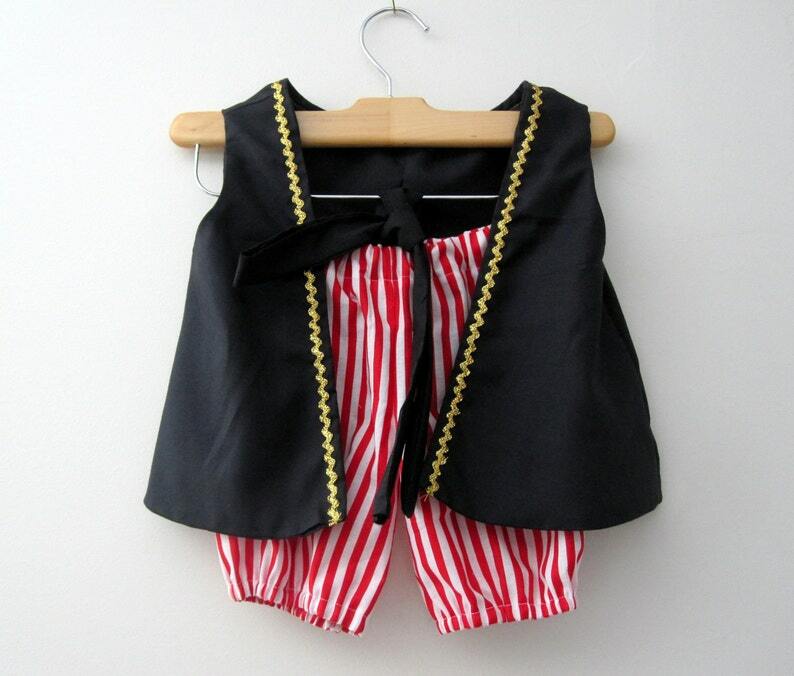 Perfect for your little pirate's everyday make believe adventures or Halloween-ing. The vest is detailed with gold trim and fully lined, just add an eye patch and some jewelry and you've got it set (I found some at Walmart for cheap) It would even be cute with little leggings and a long sleeve top for chillier days. And when you're finished just throw it in the laundry however you like, no fuss needed. Sashes available in red, black, blue, navy, gray, green, goldenrod or most other solid colors you can think of. PLEASE INDICATE SASH COLOR CHOICE AND SIZE IN NOTES TO SELLERS SECTION WHEN YOU CHECK OUT if no color is selected the costume will be sent as pictured. I am on MATERNITY LEAVE the list below shows all the sizes I normally make. Please check the drop down menu for size and color availability at this time.